Note: No local track-head transport options exist in Arthur's Pass. Your only real option is to hitch-hike. Best hitching spots - Going West: 100m to north of Store. Going East: The railway underpass, 100m south of DOC VC. Please note times stated here are subject to change without notice, please confirm both when booking services. Please visit respective websites to obtain current fares. 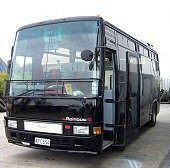 All Buses Arrive and Depart near or in the vicinity of the Arthur's Pass Store. Trampers: Atomic Shuttles may drop off at highway side track heads subject to space available. Stops at: Opposite YHA Hostel (200m from Visitor Centre). Note this is an express service and may not stop unless you have a booking! Trampers: West Coast Shuttle may drop off at track heads subject to space available. 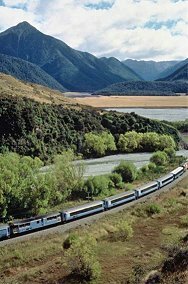 Stops at: Arthur's Pass Railway Station is located 150m from the Visitor Centre in the centre of Village. Please check their website for seasonal changes in timetable information. 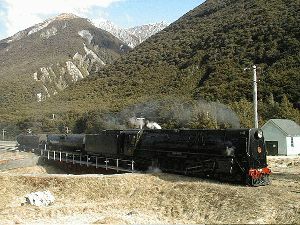 On occassion, especially during winter, steam excursion trains come to Arthur's Pass on day trips. Check out the Mainline Steam Website, or keep an eye out for advertisements in the Press newspaper.